IDEA is organising a discussion of Ukrainian events in Minsk. European Cafe hosts public lectures by European intellectuals. Minister of Culture of Belarus, Boris Svietlau handed Fond of Ideas an honorary diploma for organising an exhibition and significant contribution to the development of modern Belarusian art. Legal Transformation Centre (Lawtrend) presents the 5th edition of the quarterly electronic overview of significant events in the field of Internet freedom, protection of personal data and access to information in Belarus. Panel discussion in Minsk. On 25 June IDEA Belarus global magazine invites to the panel discussion devoted to the situation in Belarus in the wake of Ukrainian crisis. Panelists will discuss lessons and consequences of the conflict in Ukraine for Belarus. Among the speakers are Andrej Dyńko, Nasha Niva newspaper, Siarhiej Kizima, PhD, and Aliaksandr Lahviniec, the "Movement for Freedom". The event will take place at the Minsk hotel "Europe". European Café continues hosting public lectures. On 11 June the European Cafe: Open Space in Europe project hosted a public lecture of an Estonian researcher, Dimitri Mironov on transformation of higher education from Soviet to European standards. 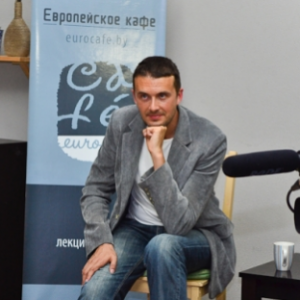 On 17-18 June political analyst from& Lithuania Gintautas Mažeikis delivered public lectures on the crisis of European humanism in post-Soviet space in Minsk and Viciebsk. A series of public lectures by well-known European scientists is implemented by the Centre for European Studies. Food for Thought Event in Brussels. The Office for a Democratic Belarus and the Wilfried Martens Centre for European Studies invite to the Food for Thought event entitled 'Why Belarus is different'. Dzianis Melyantsou, Belarusian Institute for Strategic Studies and Siarhei Bogdan, Belarus Digest will contribute to the discussion why Belarus is different from the other Eastern European countries; whether the strategic importance of the country changes in view of the Ukraine events. The discussion is to take place on 23 June in Brussels. Really Free Market-2: come and take free! On 15 June the Minsk venue CECH hosted the second Free Fair that is a real alternative to existing market relations based on mutual assistance and cooperation, according to the organisers. Visitors can bring their things and take others' what they need for free. Throughout the day, the Fair will be accompanied by a DJ and closed with a concert. Recommendations on the inclusion in non-formal education. First time in Belarus, Association for Life Long Education and the Office of the Rights of Persons with Disabilities have developed a brochure on inclusion for specialists in the field of non-formal education. The brochure's recommendations will allow the providers of educational services to make their activities more inclusive, ie make non-formal education accessible to people with disabilities. Vilnius School on Human Rights. Belarusian human rights school, organised by the international community of human rights organisations, announces a call for participation in the Summer School on Human Rights in 2014. Under the program, participants will learn about the history and philosophy of human rights, as well as methods and means to protect them at the national and international levels. Participation in the program arise open for young Belarusians of 18-25 years old, interested in acquiring knowledge in the field of human rights. Youth:ON leadership course. Youth Educational Centre Fialta invites to participate in the program Youth:ON for leaders of youth organisations and initiatives. The program aims to develop and increase the sustainability of initiatives and organisations working with young people. The program provides thematic training and consultations with local and foreign experts, as well as the Fair of Best Practices. Pact is established in Belarus. A new human rights republican public association Movement for the implementation of the International Covenant on Civil and Political Rights has been established in Belarus. The organisation unites Belarusian citizens on whose complaints the UN Human Rights Committee made or is going to make a decision. A new CSO is to contribute to the execution of Belarus of its international obligations on human rights issues. The organisation has been called "Pact". e-Lawtrend #5. Legal Transformation Centre (Lawtrend) presents the 5th edition of the quarterly electronic overview of significant events in the field of Internet freedom, protection of personal data and access to information in Belarus. The issue covers the period March-May 2014 and raises such topics as future of Internet governance, manual on Human Rights for the Internet user, new restrictions on access to information in Belarus, an overview of Lawtrend activity, etc. "Patriot" launched the first ever Belarusian-language website of the fight club. Patriotgym.by resource created in partnership with the cultural campaign Budzma! The new website has been designed to attract to the club talented children who will support senior colleagues fighting traditions. The website's founders also expect that the example of the Belarusian-language website to inspire other sports organisations to actively use national language. Citizens help Viciebsk authorities to celebrate the City Day. On 10 June an open presentation of cultural ideas Fair Projects was held in Viciebsk in a new format – it was held in the official venue of city executive committee and with participation of authorities. The Fair initiated by Budzma cultural campaign is designed to improve and expand the official program of the City Day celebrations. The Fair presented seven projects including Dance open air, Fotosushka, Football freestyle, etc. Minister of Culture of Belarus, Boris Svietlau handed Fond of Ideas an honorary diploma for organising an exhibition and significant contribution to the development of modern Belarusian art. It comes about the open-air exhibition Avant-gARTe: From Square to Object and One Hundred Years of the Belarusian Vanguard at Yakub Kolas Square in Minsk. More than ten thousand visitors attended the exhibition; its website was visited by more than fifty thousand users. Officials: Painting Bykau is an ideology issue. Painters were fined for 4.5 million roubles each (about $400) for their attempt to draw Vasil Bykau in the centre of the city. The graffiti on the transformer vault had not been allowed by the city authorities and was removed. The graffiti initiated by the SIGNAL street art community was considered to be dedicated to the writer's 90th anniversary. Baranavichy entrepreneurs ready to protest in Minsk. Private entrepreneurs want to protest against the changes introduced by Alyaksandr Lukashenka's order #222. The order obliges private entrepreneurs to have documents proving where they bought their products after July 1. At a press conference on 11 June, Russian ambassador to Belarus, Aleksandr Surikov, announced that Russia had agreed with Belarus to acquire three Belarusian military and high-tech large-scale industrial complexes. Belarus has always been very reluctant to sell of its state property for various reasons, which is not limited to just collecting rent for the elite, but also maintaining political control over their employees. However, three groups of assets seem to be up for sale: companies that work with the Russian military industry, industries dependent on Russian energy resources and many barely profitable companies from Belarus' regions, which create a burden on the budget but have helped to sustain regional economies and social stability. While the first two appear to be bargaining trips in Belarus' dealings with Russia, the latter is unable to attract foreign investors as their goods are intended primarily for a domestic market and barely economically viable as is. The Belarusian regime has always approached privatisation with a great deal of caution. Lukashenka and other high-ranking officials constantly repeat ad nauseam the phrase “we are not going to sell to anyone that which was created by the hard work of many generations of Belarusians”. This patriotic rhetoric, however, cannot be taken at face value – the regime naturally wants to retain control over the public sector in order to prevent any kind of social discontent or anti-government activity from flaring up. Nevertheless, it is now apparent that it will finally have to part with several groups of assets, which create serious problems for the Belarusian economy. In 2007 and 2011 Belarus had to sell to Russia one of its major assets – the Beltransgaz company, which controlled the transit of gas from Russia to Europe in Belarus. The deal ensured that Belarus would receive discounted gas prices for many years to come. This year the first group of enterprises on the auction block, and No1 candidates for sale, are a handful of military and high-tech industrial complexes whose primary customers are found in Russia. As Russian ambassador in Belarus Aleksandr Surikov said on 11 June “We have reached a basic agreement on Integral, Peleng and MZKT. The last international evaluation of MZKT assets will be completed by 31 July”. Integral is closely connected with the Russian market and requires substantial investment after years of decline and stagnation. “The Russians want Integral incorporated in their military-industrial complex, which will ensure a maximum of output for the enterprise”, Head of State Property Committee​ Heorhi​ Kuzniacoŭ said. Another high-tech project of particular interest to the Russia is Peleng. Belarus negotiated the sale of 25% of its shares of the company to Roskosmos, a Russian space industry corporation. The Peleng company produces optoelectronic space equipment and conducts research in the same field. The Minsk Wheel Tractors Factory (MZKT) may also potentially join the Russian state holding Russian Technologies. 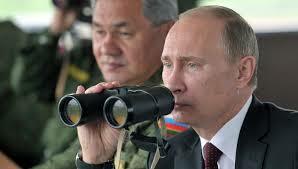 It will produce chassis and tractors for the Russia's army and its oil industry. Currently, MZKT is one of the main manufacturers of tractors for Russian army. The second group of industries up for sale are those which are heavily dependent on Russian oil and gas. It is starting to look like the Hrodna Azot and Mazyr refineries are likely to be sold off as well. In May Belarus announced that it would auction off 25% of its Hrodna Azot shares, the largest enterprise in the Hrodna region, which produces chemicals and fertilisers. The enterprise is Belarus' largest consumer of natural gas, therefore selling it to Russia is, to a degree, a logical step. However, the conditions for its sale are rather unattractive for the business community. For example, part of the deal states that workers’ conditions cannot deteriorate over the first 5 years of the deal. Moreover, investors must provide Belarus' agricultural sector with the necessary amount of fertilisers and build a new production complex that is estimated to cost $1.2bn. Last but not least, investors must guarantee a steady gas supply for 10 years to ensure the full production capacity of Azot is maintained throughout. Nevertheless, Russia has shown continued interest in the company, with Gazprom, Evrokhim and Rosneft being the main candidates for its purchase. Meanwhile, according to the Russian ambassador in Belarus, Russia so far has no interest in buying up a large portion of Mazyr refinery's shares due to the unfavourable terms that would be associated with any deal. As part of the conditions for selling its shares, Belarus is demanding that any new owner retains the current number of workers and increases the refinery's production capacity. The Government Will Get Rid of its Bad Assets? Belarus is ready to get serious about privatisation, but at the moment it only wants to sell off low-profit companies that are vital for sustaining local regional economies. As a study of the 2011-2013 pilot privatisation project conducted by Belarus Public Policy Fund​ shows, the government is trying to sell off mainly companies with low profit margins that are full of personnel that are years, if not decades, away from retirement. In doing so, it is not seeking to rake in profits, but rather is trying to maintain local employement levels in the regions where these factories are often the core of their respective local economies. Simply put, the state tries to shift the responsibility for maintaining social welfare from the state budget to the private sector. Few would then question potential investors' reluctance to jump on these 'opportunities'. According to Civitta consulting expert Daniel Krutzinna, the international business community does not believe that Belarus will implement any extensive privatisation anytime in the near future. It will rather focus on a number of deals with Russian companies and on the sale of unprofitable companies to local investors. As the three groups of companies up for sale will demonstrate, Belarus' privatisation is set up so that it is inherently favourable to Russian interests. Very likely, Belarusian industries will be used for leverage in the Russia-Belarus bargaining within the Eurasian Economic Union, where Belarus seeks to get the most favourable gas and oil trade prices it possible can. While Russia is about to acquire several important military-related industries, it is hard at work negotiating on other industries, trying to make the terms of their sale much less 'social'. With smaller, but socially important enterprises, especially in the regions, which do not interest foreigners, Belarus will face a bigger dilemma – finding a local business that will agree to become partners in supporting the state’s social contract.